[SOLVED] Why am I getting &quot;Cannot Connect to Server - A network-related or instance-specific error&quot;? [SOLVED] Why am I getting "Cannot Connect to Server - A network-related or instance-specific error"? The server was not found or was not accessible. Verify that the instance name is correct and that SQL Server is configured to allow remote connections. This error is thrown when I try to configure my database to gridview in Visual Studio 2010. I'm at a loss as to how to debug this error. How would you debug this error? What steps should I take in order to determine what is really going on here, in addition to the one mentioned in the error message? thank you, this worked for me. it's strange how two mictosoft major products cannot recognize each other. 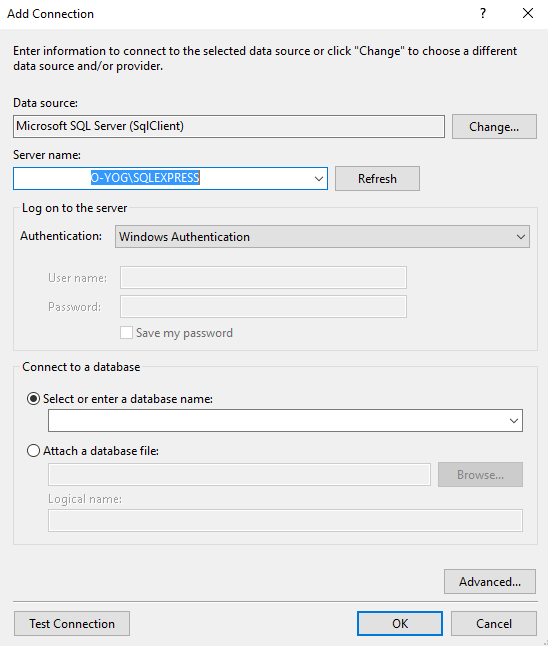 To fix this issue encountered while running local app vs remote database, use SQL Server Configuration Manager to add an alias for the remote database. I had run into this problem recently when transitioning from a Windows 7 to a Windows 10 laptop. I was running a local development and runtime environment accessing our Dev database on a remote server. We access the Dev database through a server alias setup through SQL Server Client Network Utility (cliconfg.exe). After confirming that the alias was correctly setup in both the 64 and 32 bit versions of the utility and that the database server was accessible from the new laptop via SSMS, I still got the error seen by the OP (not the OP's IP address, of course). It was necessary to use SQL Server Configuration Manager to add an alias for the remote Dev database server. Fixed things right up. I tried all the other answers on this question and some if not all probably played a part in getting this working for me, but I still couldn't connect to the DB remotely. I was using a SQL Server on an Azure VM. I eventually remembered that the VM has endpoints that are controlled by the Azure account proxy, so I went on to the Azure Portal and added 1433 as an available endpoint and I could connect to my SQL instance. Hope this helps someone who has tried all the other answers and is still having no luck! Try adding a , and a port number (as in ,1433) to the end of your connection string. Why this error is so boresome and noisy, just because it can occur in varied situation. I have done all approchs above here, and still being sucked. So make sure u have done the same as me before browsing downward. Maybe I am not able to fix ur situation instantly, but I can point out a direction or thinking to u(The one who finally slide down here). I have started to ponder the error of my running program occurring after I made sure that the instance name is clearly right and set my database to allow remote control following the methods above. After then, I suspected something wrong happening in my code snippet of SQL connection. It works for me with pondering what exactly happen in the process of connection.Hope my thinking will lead u to kill ur error. 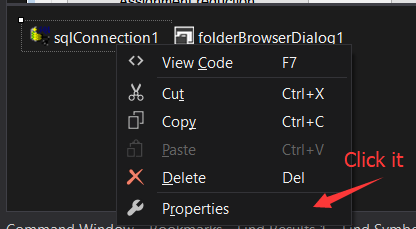 This helped me find that I needed to REMOVE the port number for a LocalDB connection string, when using Entity Framework. 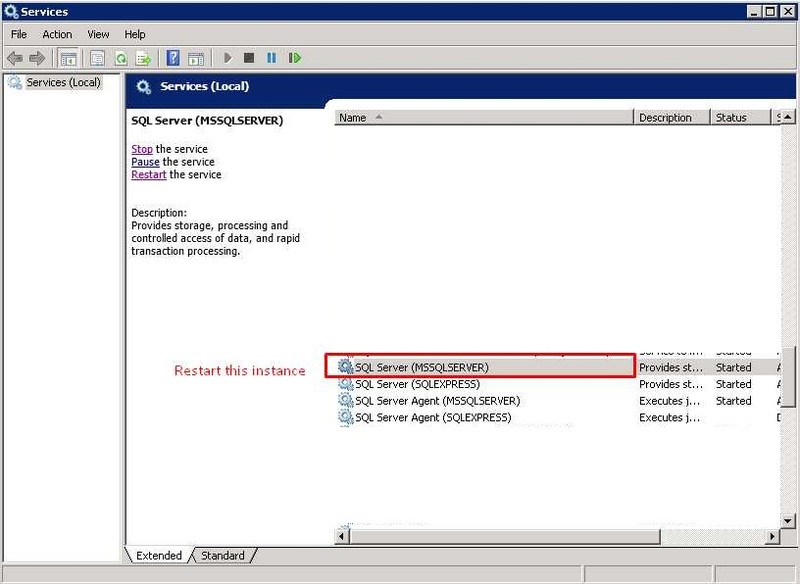 Then Search for SQLSERVER(MSSQLSERVER) and Restart the service. Check to make sure SQL Server service status is Running. In addition, ensure that your remote server is in the same network. Run sqlcmd -L to ascertain if your server is included in your network list. When two or more SQL Servers are connected across network they do all communication using TCP/IP. The default port of SQL Server installation is 1433. This port can be changed through SQL Server Configuration Manager. 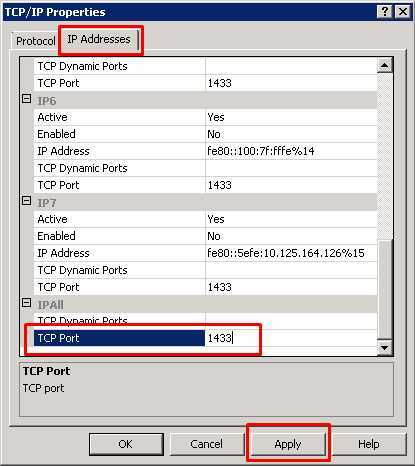 TCP/IP should be enabled for SQL Server to be connected. You must restart SQL Server Services for all the changes to take effect. Right click and go to menu properties to select location where default port of SQL Server can be changed. Enable TCP/IP in SQL Server Configuration was the solution for me when using SQL Server 2014 Express. Today I spent a lot of time on this, finally what worked for me is: Open Sql Server Configuration Manager --> Protocols for <INSTANCE> --> TCP/IP --> IP Addresses(Tab). Go to the last entry IP All and mention TCP Port 1433. 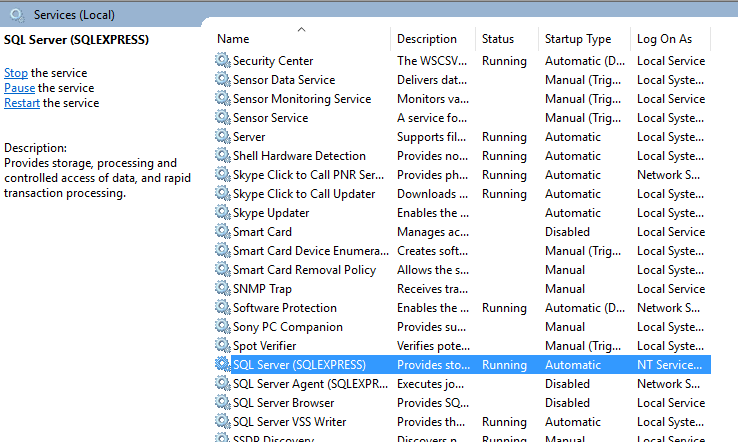 Now restart SQL Server (<INSTANCE>) using services.msc. After this, the problem got resolved! I was also facing the particular problem on my local Sql server and solved by checking the local services of operating system and Searched for the specific Sql services and start them one by one. It worked perfect. @Rak your solution worked. Simple and what the actual problem was. @thanby: Glad it helped! I checked this today and found that 21 people have upvoted it! Thanks. I'm getting this error while creating a plugin for nopCommerce. The rest of nopCommerce is working fine, connecting to the same server. I'm trying to create an Entity Framework connection to a different schema/instance on the same server. I know the connection parameters are correct, I use the same connection string in another web app which is working fine. I guess I should ask a separate question. Also, you need to turn off windows firewall. If you suddenly encounter this error say in a production environment and nothing has changed, try the following 4 items in the order below to see if it gets fixed. restart the service (say IIS) that is calling into sql server. (the problem is probably here if the time between the start of the service call to SQL server and the time you end up getting the response error is super short (about one or two second). restart the server sql server is on. restart the server the calling service is on. You can test the following methods. Check the connection string of the project. Go to services and restart SQLServer Instance. Then in the middle tab double click the found item(Instance) or created item of 'SQL 1433 Port' name by you. In the Local PC Go to google.com in your Browser and search 'My IP'. 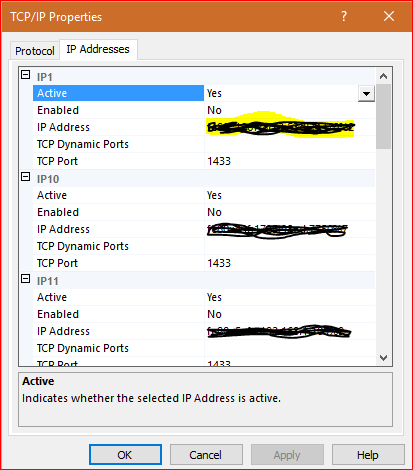 In the opened dialog box(IP Address) select 'This IP Address or Subnet' option and paste your 'IP', click OK button. Along with trying everything as suggested by Teo Chuen Wei Bryan, make sure you are also referring to the correct Server/Instance name in the connection string. --> Right click the file and you can see connection tab. --> Input server name and log on information to test connection to the database server. I found that the simplest is to do the below - I have attached the pics and steps for help. cmd> Sqllocaldb.exe s "whicheverVersionYouWantFromListBefore" if this step fails, you can delete with option d cmd> Sqllocaldb.exe d "someDb"
My issue was that you need to have a connection string entry in both your repository layer and web layer. Once I added it to my web.config as well as my app.config, Entity Framework was able to create the migration. My question is why, does the web.config need it, when there is absolutely no database access there. My issue started when I tried to change the server from IIS Express to Local IIS (while using LocalDB). Also do not make the silly mistake of using / instead of \ in the connection string. where name_of_instance is name of localdb instance, which you want to start. You can list available instances in command line using sqllocaldb i.
I moved from a work laptop on Windows 7 to a work laptop on Windows 10. I had been successfully using SSMS2016 on Windows 7. The same issue applied using SSMS2012 or SSMS2016. My access to the 10 sql servers using windows authentication was still the same. I could test this from another server. However, 2 of the 10 servers would not connect from my laptop. Both were ms sql server 9 but I could connect to other sql server 9 databases. The solution was to add a firewall rule (using Windows Firewall with Advanced Security). I'm not a network expert so I've not included the details but hopefully it will point you in the right direction. Error msg (pre firewall rule) "A network-related or instance-specific error occurred while establishing a connection to SQL Server. The server was not found or was not accessible. Verify that the instance name is correct and that SQL Server is configured to allow remote connections. 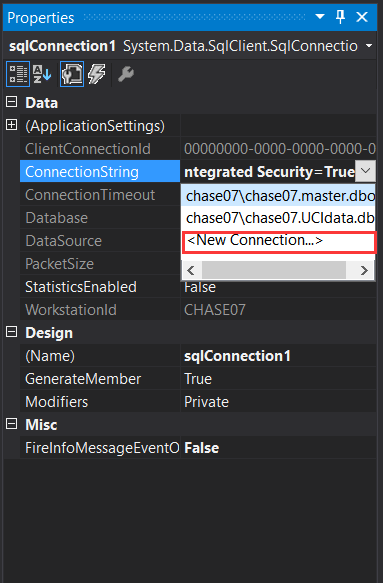 (provider: SQL Network Interfaces, error: 26 - Error Locating Server/Instance Specified) (.Net SqlClient Data Provider)"
If you're encountering this while debugging in Visual Studio, make sure that the project build path points to a local drive, or follow these steps to grant permissions to the network folder. I have to run SQL Server Browser service into SQL Server Configuration Manager. Installation can't discover newly created service without this. I am using SQL Server 2016 and Window 10. First thing is to allow remote connection to SQL Server. What I did is to type sqlservermanager13.msc at start menu in order to open the SQL Server Configuration Manager. Make sure the TCP/IP status is enabled. 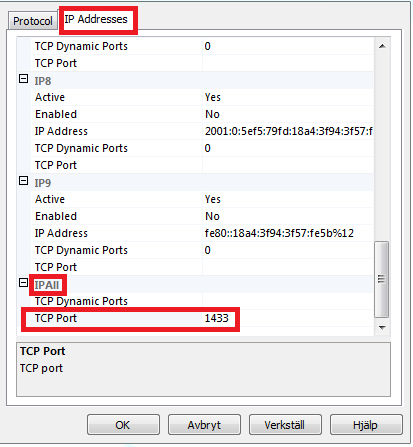 Check your TCP port number by double click TCP/IP protocol name. Usually it is 1433 by default. The following procedures configure the Windows Firewall by using the Windows Firewall with Advanced Security Microsoft Management Console (MMC) snap-in. The Windows Firewall with Advanced Security only configures the current profile. In the Program dialog box, select This program path. Click Browse, and navigate to the instance of SQL Server that you want to access through the firewall, and then click Open. 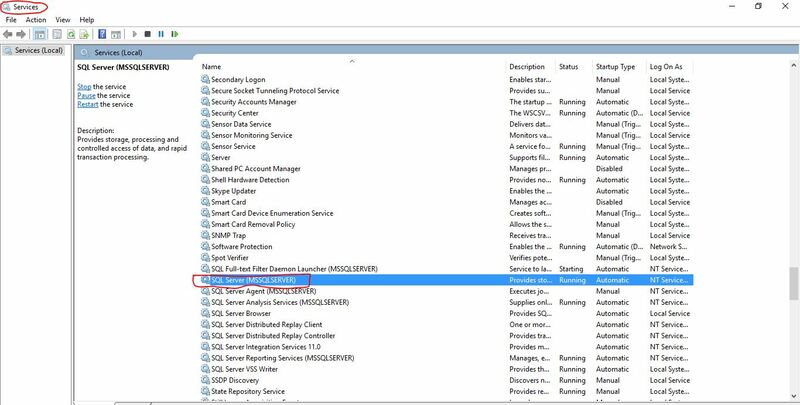 By default, SQL Server is at C:\Program Files\Microsoft SQL Server\MSSQL13.MSSQLSERVER\MSSQL\Binn\Sqlservr.exe. Click Next. I resolved this problem by setting the project that makes use of Entity Framework as the start-up project and then run the "update-database" command. Target database is: 'DefaultConnection' (DataSource: .\SQLEXPRESS, Provider: System.Data.SqlClient, Origin: Convention). After setting the Startup Project to Web and the Default Project in Package Manger Console I got it to work. Adding my heavily upvoted comment as an answer with screenshots. 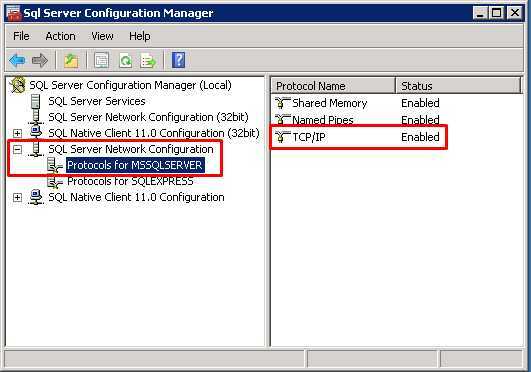 1) Open Sql Server Configuration Manager --> SQL Server Network configuration --> Protocols for <(INSTANCE)> --> TCP/IP (double click on it). 2) Select --> IP Addresses(Tab). 3) Go to the last entry IP All and mention TCP Port 1433. 4) Press Win+R and enter services.msc. 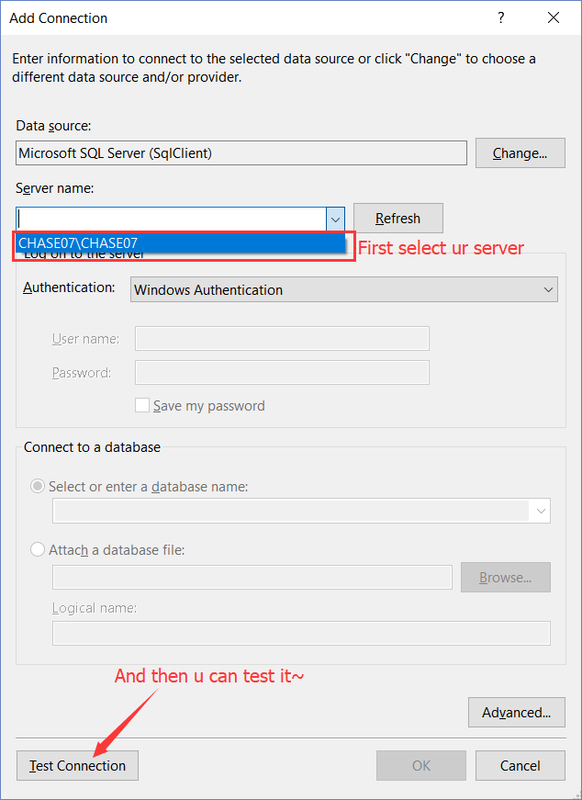 5) Now restart SQL Server <(INSTANCE)>. After this, the problem got resolved! Worked for me in sql server 2012 after enable TCP, Added Port number 1433 to TCP ALL, and restart the service! While the above solutions should work in 90% of the cases, but if you are still reading this answer!!! You are probably trying to connect to a different server than intended. It may be due to a configuration file pointing to a different SQL server than the actual server you think you are trying to connecting to. This error occurs when your sql server instance is stopped. 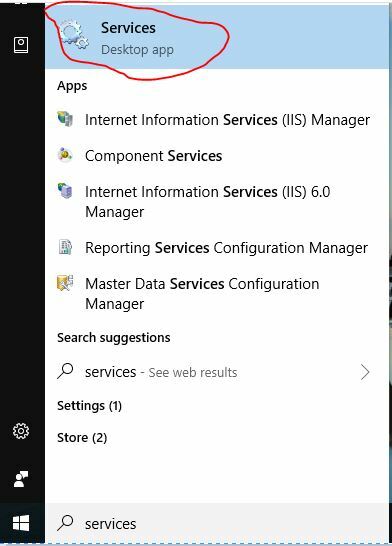 then click on SQL sERVER SERVICES, list of instances will appear, select instance in question and click on play icon on top tool bar, hope this will help. This was the correct answer for me. Thank you. Press window + R (Run window Open) and in run window type "services.msc" and new services open find SQL SERVER(SQLEXPRESS) service start and try again it works for me Hope Its Works for You also. http://blog.sqlauthority.com/2009/05/21/sql-server-fix-error-provider-named-pipes-provider-error-40-could-not-open-a-connection-to-sql-server-microsoft-sql-server-error/ Still did not work for me. It will prompt you the server name. Make sure this server name is same as the one you are trying to get connected to in CONNECT TO SERVER box of SQL management studio. I made this silly mistake I keep using MSSQLSERVER rather using this server name. Hope this helps for the people who make silly mistake like me. Then open firewall.cpl, click allow an application or add rule, add the previously copied path (there is a procedure you need to follow), check Domain and Private, uncheck Public. I was having a hard time locating the sqlservr.exe file, this did the trick in locating it. I am solving that problem by opening Services then start running Sql Server (Sqlexpress) service. I have seen where SQL Server windows service was set to Manual Startup Type, so it did not restart on a reboot. It should be set to Automatic. This is exactly what i did, My Status was Running and StartupType was Automatic , but still i faced the issue , so i used services from Run window type services.msc then i right clicked SQL Server (SQL EXPRESS) for context menu and just Stop and Start the service again and works fine for me, hope helps. This solved my issue, thanks! This post deserves 1000 upvotes, the question is, why do we have to do this in the first place? [SOLVED] Why did a network-related or instance-specific error occur while establishing a connection to SQL Server? I can't open SQL Server 2014 "Cannot connect to server"
[SOLVED] update-database: "A network-related or instance-specific error occurred while establishing a connection to SQL Server"
When I am using SQL Server Management Studio 17 I'm getting error in "Connect to server dialog" and error is "Cannot connect to local"